Love that title, no!??! 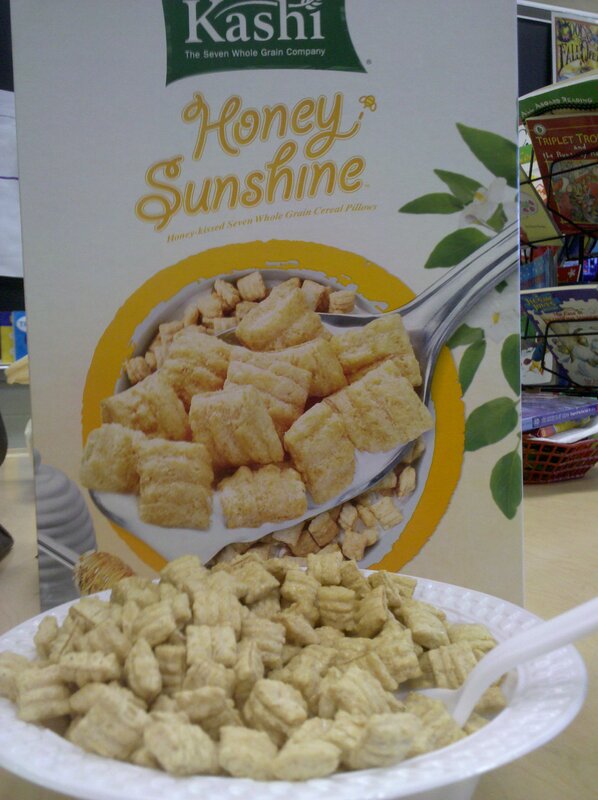 It describes the past day of my life as well as my new cereal that I tried today…YUM! 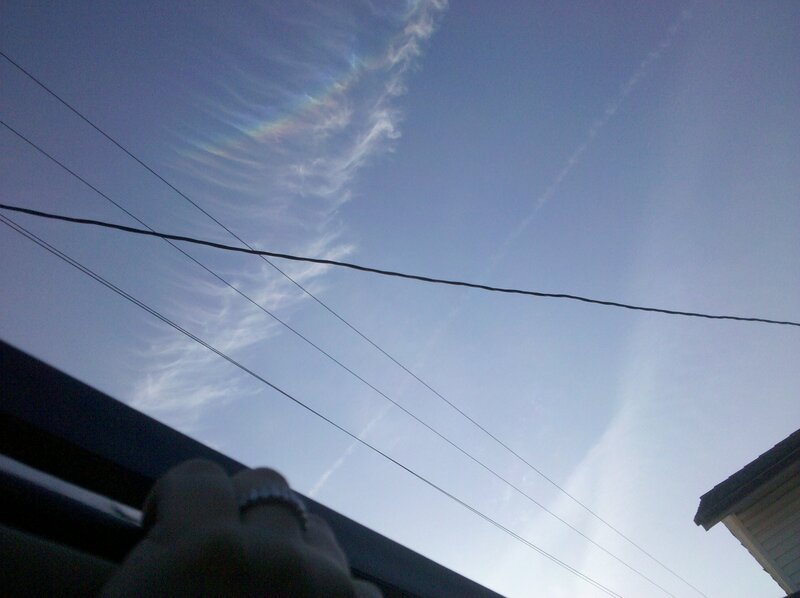 So yesterday, look what made an appearance…My monsterous sunroof! the Volvo XC60 has a HUGE rocking sunroof! You better believe I opened that baby up yesterday! "It's a beautiful day...don't let it slip away!" OY! ‘Twas a great run but my “seat area” (glutes, hip flexors, etc. )was really hurting from my Yoga class the previous day and started acting up on that last mile, forcing me to stop and walk for a MOMENT 🙂 SO….what a kicker- when I went to officially commit to the Broad Street Run, I saw that as of yesterday registration was closed! All 30,000 spots were taken! BUMMER! I will see what I can do about this situation. 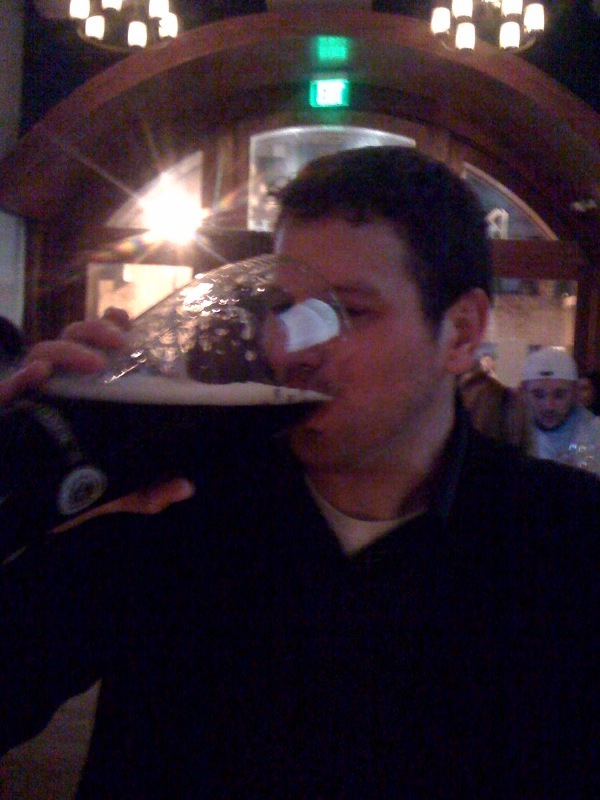 Anyway, I was proud… that sub-hour 6 miler was not for nothing! After, I headed home to hose off shower because I was headed out to dinner with Eamon to celebrate his birthday! 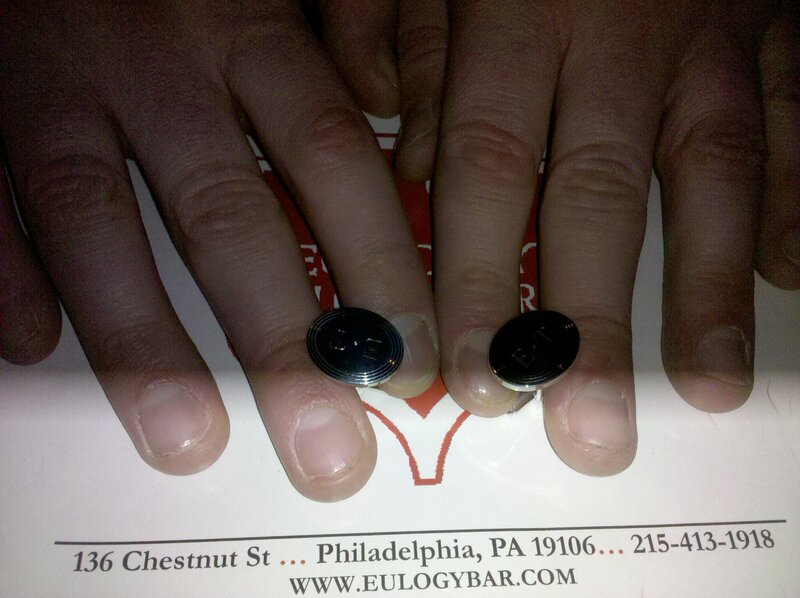 We went to Eulogy Belgian Tavern in Old City, Philadelphia. This place is definitely noteworthy for its ridonk beer selection that is both extensive and impressive! I had a feeling this place would be good, given the fact that Eamon himself is Begian and he picked this place! 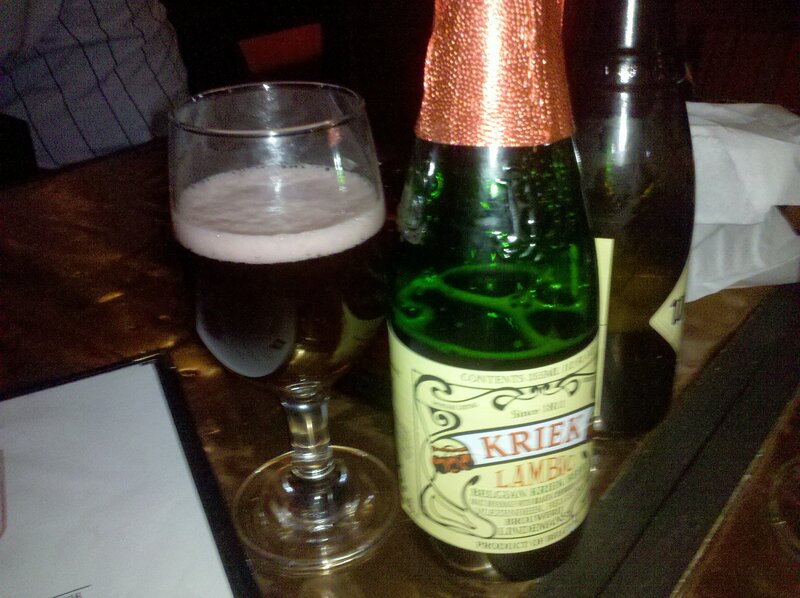 I got a YUMMY Cherry Lambic! I have tried Peach before but the alchohol content was higher in the cherry and I was ready for a fun night so I gave it a spin! IT was delish! While we waited for our food (and company- Eamon’s Dad and friends ended up joining us! wootwoot! ), I gave Eamon his birthday present…SLICK Tiffany Cuff Links with his initials on them! I think he LOVED them! Who doesn’t ❤ Tiffany?!?!? Anyway, I ordered the burger by reccommendation and it was sooo good but soooo big! I was only able to eat about a quarter of that baby (phone ate the pic) but luckily I had some lovely manly men to help me out! 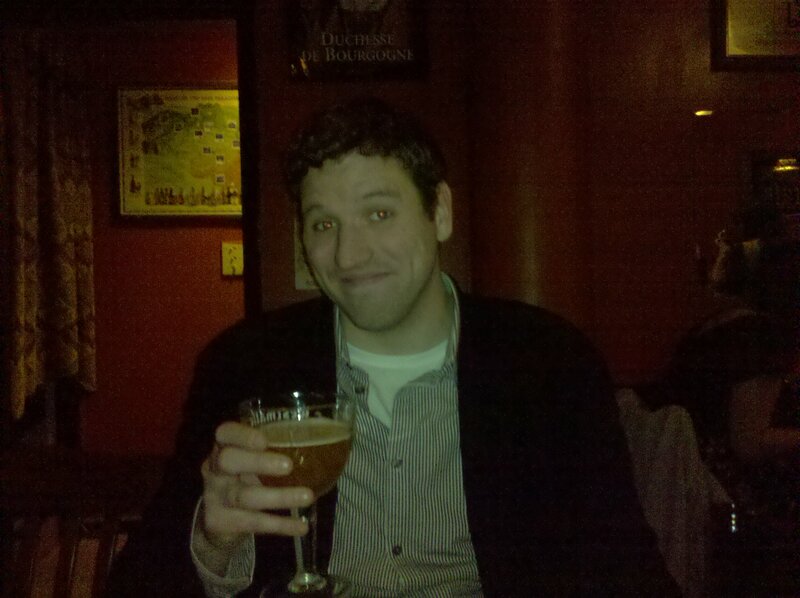 So, I would DEFINITELY return to Eulogy for some more brewskies at a later date. It was a great time! 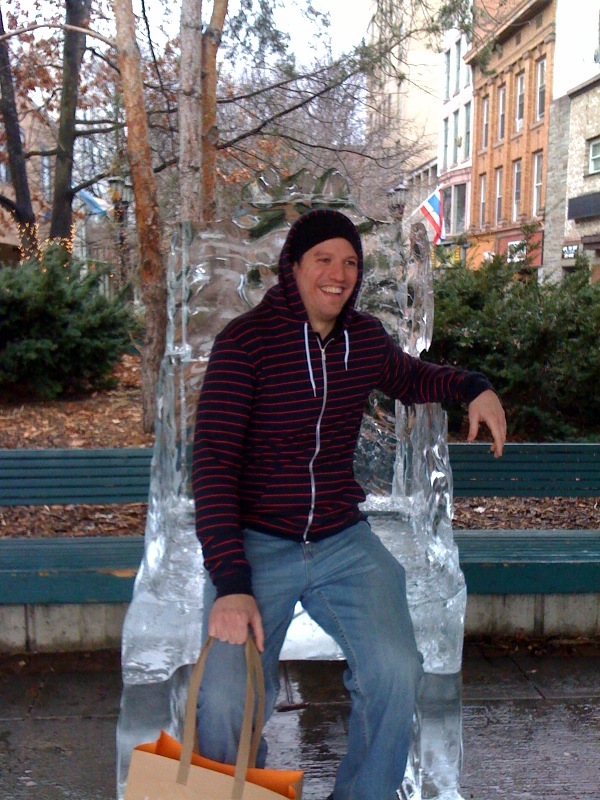 And…HAPPY BIRTHDAY, EAMON!